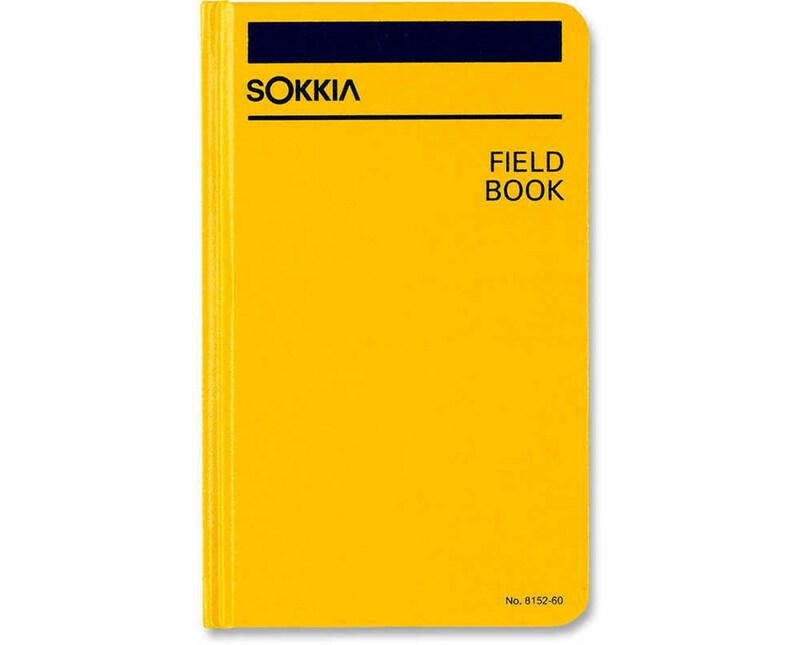 Page size: 4.5" x 7.25"
The Sokkia Hardcover Field Book is a tough and handy tool for keeping records and notes while working on the field. 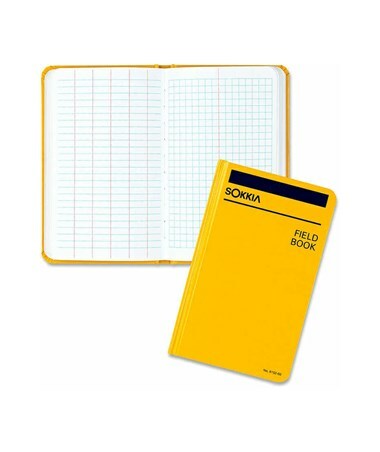 This 4.5-inch by 7.25-inch field book has 160 pages. The left pages have blue horizontal lines and red vertical lines, while the right pages have 4 x 4 blue lines and a red vertical center line. 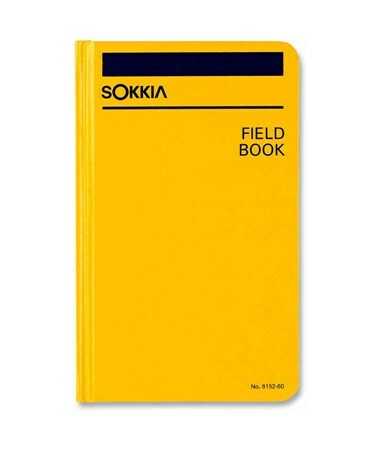 This notebook’s cover is has a high visibility color and is constructed to withstand rugged handling under all climatic conditions. This field book has hardback cover. Its pages are made of fine quality water-resistant ledger paper and 50% cotton rag content paper. Each page is lined with waterproof blue and red inks. Also included are 11 conversion tables, trigonometric functions, and formulae for solving right angles and curves.